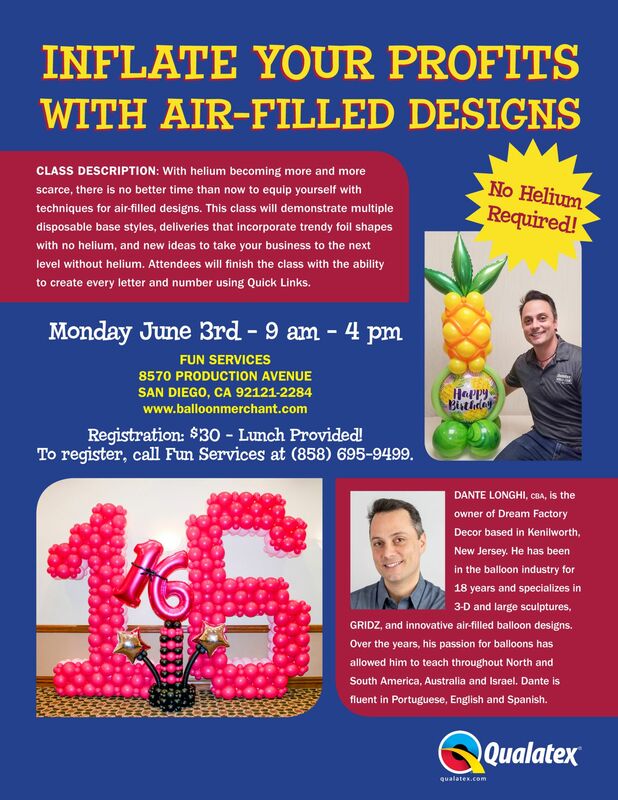 June 3, 2019, 9 a.m.–4 p.m.
With helium becoming more and more scarce, there is no better time than now to equip yourself with techniques for air-filled designs. 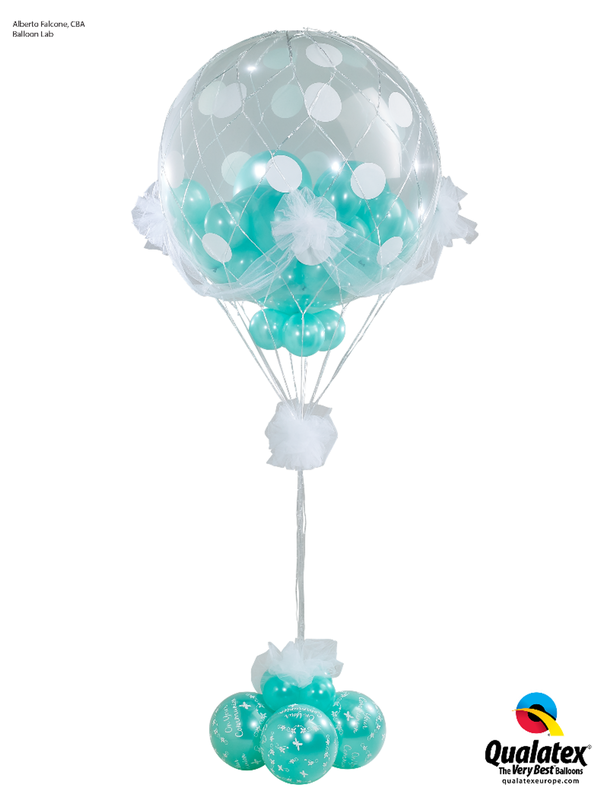 This class will demonstrate multiple disposable base styles, deliveries that incorporate trendy foil shapes with no helium and new ideas to take your business to the next level without helium. June 5, 2019, 9:30 a.m.–5 p.m. 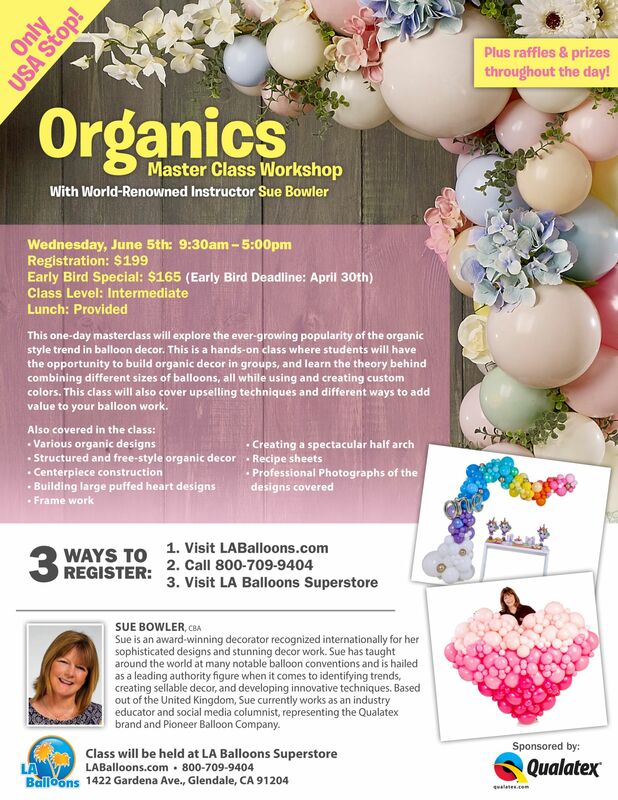 This one-day masterclass will explore the ever-growing popularity of the organic style trend in balloon decor. 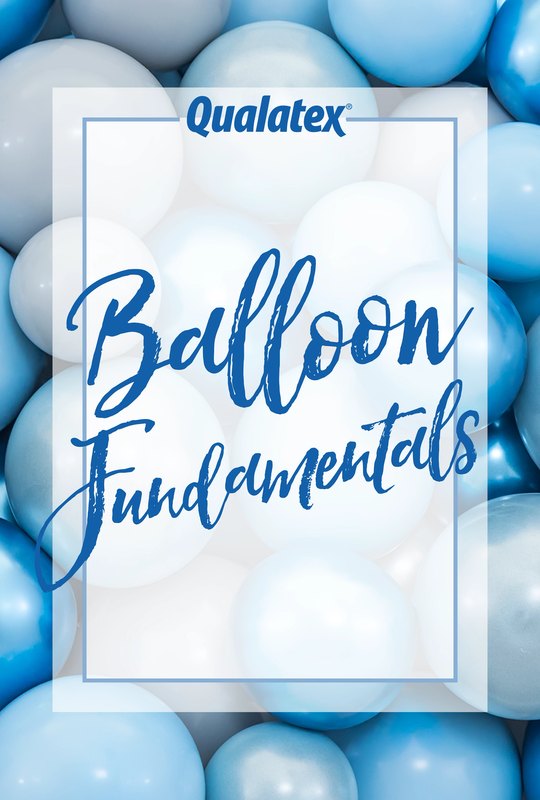 This is a hands-on class where students will have the opportunity to build organic decor in groups, and learn the theory behind combining different sizes of balloons, all while using and creating custom colors. 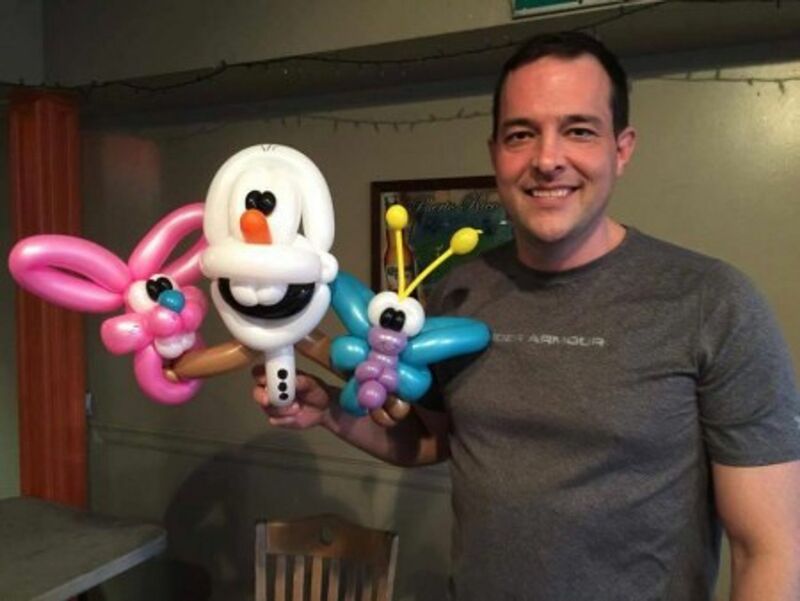 This class will also cover upselling techniques and different ways to add value to your balloon work. June 11, 2019, 9:30 a.m.–5 p.m. 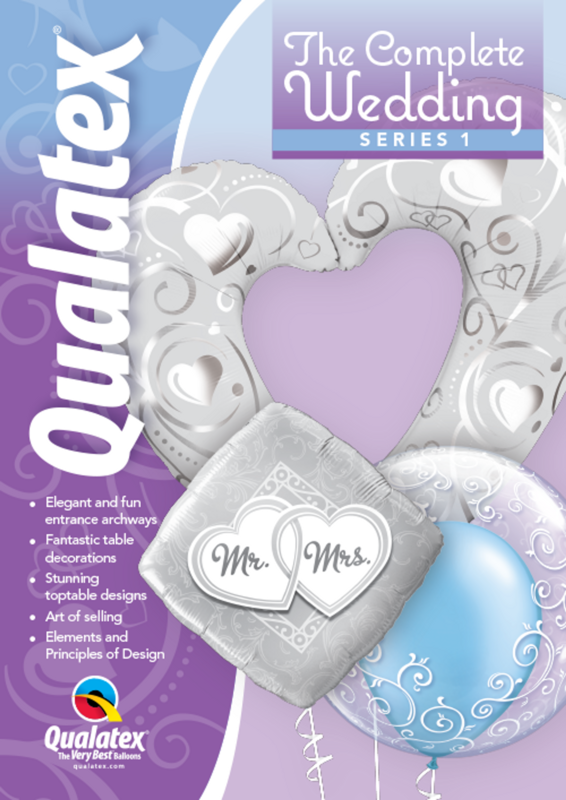 The Qualatex Wedding Series is a series of 3 courses – each designed to help you develop your portfolio, so you can wow brides to be and increase demand for more creative and profitable designs! 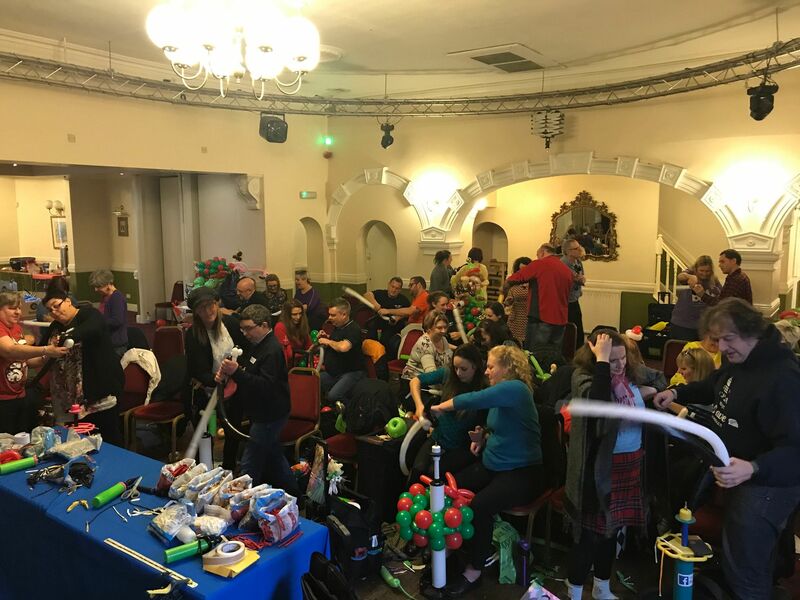 June 12, 2019, 10 a.m.–5 p.m.
Back by popular demand, Q Jam is a fun filled day that's perfect for twisters, entertainers or any balloon professional looking to brush-up their twisting skills. June 18, 2019, 10 a.m.–4 p.m.
June 18, 2019, 10 a.m.–6 p.m.
Eric Weinstein, twister of the year for 2018, will be explaining some of his favourite designs. Please bring with you a selection of 260 balloons, a bin liner, camera and a pump. Tea and Biscuits will be provided. This is day 1 of a 2 day event. Both workshops will be different. June 19, 2019, 10 a.m.–6 p.m.
Eric Weinstein, twister of the year for 2018, will be explaining his distortion techniques for some of his animal designs.. Please bring with you a selection of 260 balloons, a bin liner, camera and a pump. Tea and Biscuits will be provided. This is day 2 of a 2 day event. Both workshops will be different.